A guided tour by minibus where the guide shows the location of all visitor facilities such as the swimming pool, bowling centre, night club etc. The guide will tell the interesting history of the former US military airbase which is now a modern village and a busy civilian airport. A visit to the museum is also included. 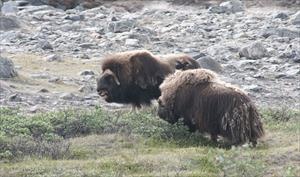 The world's biggest population of wild Musk Oxen are living within close range of Kangerlussuaq. 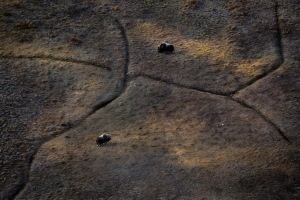 We drive by minibus to an area where it is possible to see musk oxen and reindeer. Please note that we are going into the wilderness; it is not a zoo. We cannot guarantee that you’ll see the animals, but the viewing rate is generally high. 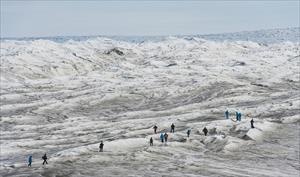 Arctic Adventure, together with AirZafari Greenland, offer sightseeing flights and photo safaris in a 5-seat aircraft. 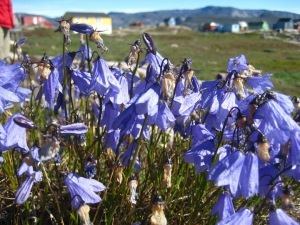 This unforgettable tour offers a flight in low altitude over the Kangerlussuaq area, with the Inland Ice Cap in the back ground - and with a high certainty of viewing Musk Oxen. Window seats are guaranteed and every passenger is provided with an Active Noise Reduction Headset. Minimum 4 pax. Arctic Adventure, together with AirZafari Greenland, offer sightseeing flights and photo safaris in a 5-seat aircraft. 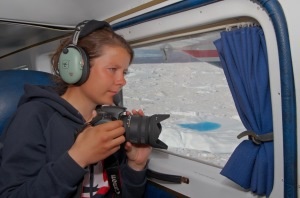 This unforgettable tour offers a flight in low altitude to the Greenlandic Inland Ice Cap. 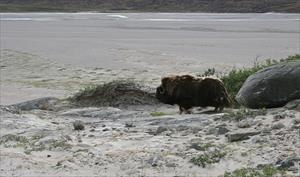 If we are lucky we will also spot some Musk Oxen. Window seats are guaranteed and every passenger is provided with an Active Noise Reduction Headset. Minimum 4 pax. Hi Dora! Thank you very much for a fantastic adventure in Norway! It was amazingly organised . I enjoyed every minute of it. I would do it again without hesitation.